For the last couple of years, it has been a well-established fact that the spinners (especially the wrist spinners) have started playing a significant role in the success of the teams in the shorter formats. While they have been always effective under the sub-continent conditions earlier, recent records show that they are proving invaluable even outside. One prominent example of the increase of potency in the blowing attack due to the presence of the wrist-spinners has been India. India has been fortunate to have two very good wrist-spinners, adding variety to their blowing under all conditions. Kuldeep Yadav and Yuzvendra Chahal have been a permanent feature in the team in Asia. Even outside, India has started having them playing together, with some spectacular impact. So far, both of them have played 36 ODI matches. Kuldeep has taken 73 wickets, while Chahal grabbed 64. However, it is quite eye-catching that in the 24 ODI matches they played together, they have taken 93 wickets. Their partnership strike rate is almost 4 wickets per match now, which is considerably high. Another point to be noted is that Kuldeep seems to get more relaxed and potent, with Chahal bowling at the other end. It shows in his stats as well. In the 24 matches he played along with Chahal, he has grabbed 55 wickets (2.3 wickets per match); while the other 12 yielded only 18 (1.5 wickets per match). For Chahal, the wicket-taking percentage gets reversed. But, it is very visible that they do like bowling in partnership and enjoy each other’s success. It would be interesting to know which other spin bowling duo has performed exceptionally together and what had been their combined strike-rate. For narrowing down the analysis, the bowlers who have taken at least 150 wickets in ODI cricket have been considered. Also, 250 total wickets have been taken as a cut-off for the bowling partnership. The corresponding list clearly shows that it has been very rare in ODI history that two specialist spinners have operated in tandem for one team. There have been cases of great spinners being supported by part-time options from the other end. Also, there are cases where at least one of them had been a genuine all-rounder to make sure that the team is balanced. In that aspect, Kuldeep-Chahal combination has been quite rare. Muralitharan played in 350 ODI matches. Astonishingly, Sanath Jayasuriya played in 305 of them. Of course, Murali had been arguably one of the two best spinners the game has seen. And, Sanath was primarily an explosive batsman, who could also bowl left-arm spin. However, his record (323 wickets in 445 matches) shows that he was more than capable in rolling his arms. As can be expected, Murali had 66% of the wickets out of 702. However, Sanath was very effective too. Who can forget his part with the ball in the 1996 World cup? Yet another combination, which cannot be really termed as spin-duo. 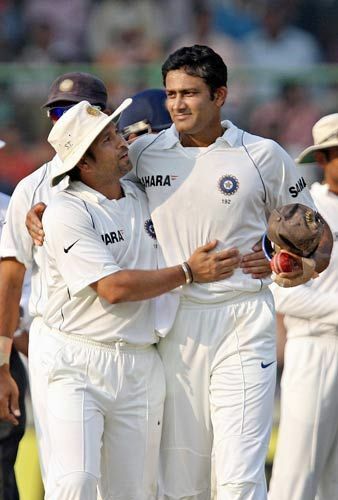 Kumble was the leading spinner of the team, while Sachin was a part-timer and bowled mostly in the sub-continent conditions. 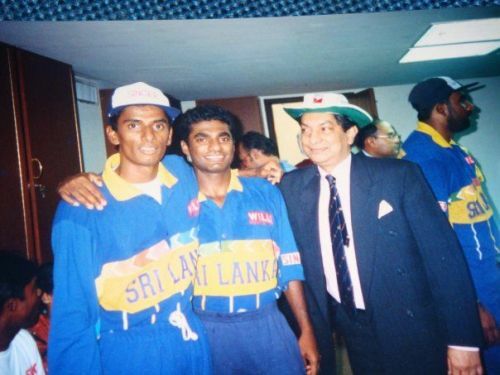 Similar to Murali/Jayasuriya combination, they played most of the matches together. Out of 271 total matches played by Kumble, Sachin was part of the team for 245 times. Their combined bowling exploits were obviously dominated by Kumble, taking 309 of those wickets. 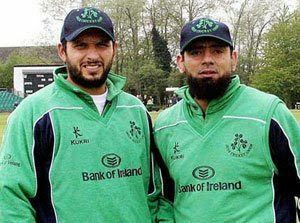 Afridi and Saqlain played together in 121 ODI matches. Their combined strike rate had been quite impressive, mostly due to the excellent rate at which Saqlain got his wickets. He has been the world record holder for fastest to reach 150 and 200 ODI wickets. Their combination was excellent for Pakistan. This has been one combination which could be called a specialist spin bowling-duo. The fact that they played 106 matches together, shows their effectiveness. Again, the partnership was dominated by the indomitable Murali. 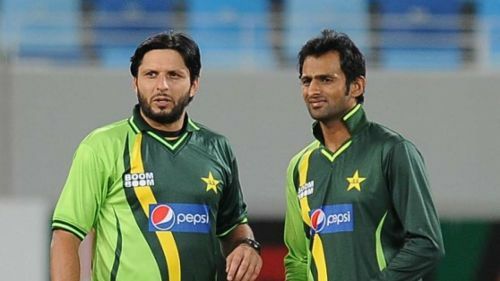 Afridi and Malik played together in 146 matches. However, Malik concentrated more on batting as his career progressed. It reflects in their combined strike-rate, which is dominated by Afridi. Very similar to the combination along with Saqlain, Shahid Afridi features again in the list along with Saeed Ajmal. Their combination strike-rate had been one of the best. While Ajmal had the higher rate of taking wickets, Afridi was not far behind. Apart from the above-mentioned players, the Spinners who have taken 150+ wickets, but did not feature in the list, have been – Dan Vettori, Shane Warne, Harbhajan Singh, Shakib al Hasan, Harbhajan Singh, Carl Hopper, Ravi Jadeja, Chris Gayle, Mushtaq Ahmed, Brad Hogg, Ajantha Mendis, Imran Tahir and Ravi Ashwin. 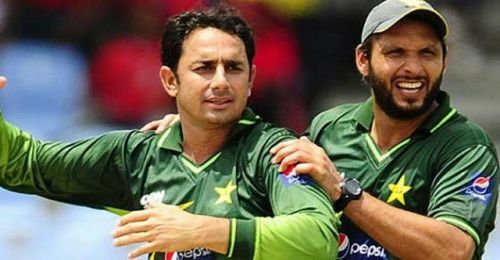 It is mostly due to the fact that they either did not have any long partnership with another spinner in the team or the partnership did not meet the total 250 wicket criteria. Need to mention two special pairs here. Saqlain and Mushtaq played just 40 matches together. But, their combined strike rate of 3.2 had been very good (128 wickets in total). Similarly, the Indian spin-twins Ravi Ashwin and Ravi Jadeja have taken a very impressive 223 wickets in 84 matches (average of 2.65 wickets per match). To conclude, Kuldeep and Chahal have just started and, at this fledging part of their career, have a long road to travel ahead. Their performance has been impressive so far and added a new dimension to the shorter version of the game. If they could emulate the career record of any of the stalwarts mentioned in the above list, India would be served very well in the future.